7 days till Christmas, have you mailed out your Christmas Cards yet? 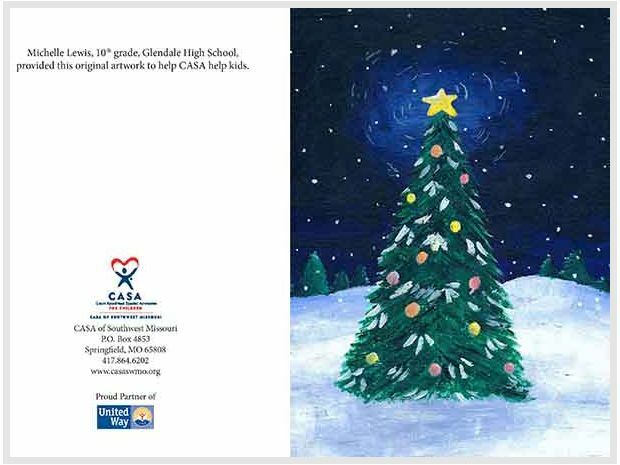 For 2018, we are excited to partner with the CASA of Southwest Missouri to support their CASA Holiday Card Program. This year, we chose Christmas Tree by Michelle Lewis, 10th Grader at Glendale High School. We believe in giving back by supporting our local community. Through the CASA Holiday Card Program, we are able to assist in raising funds for children who suffer from neglect and abuse here in our community.